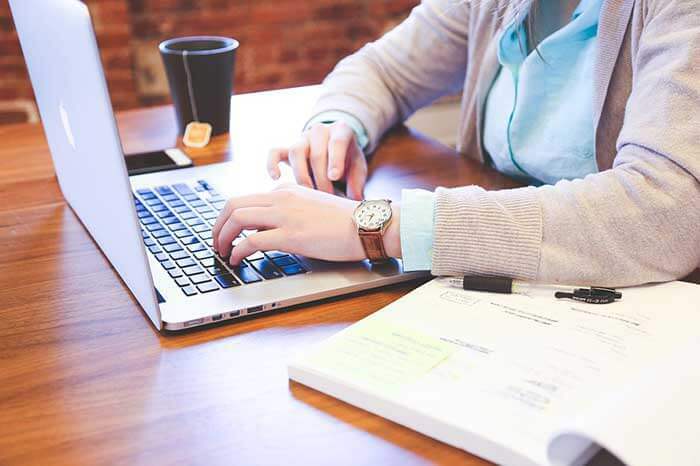 Here in this article we’ve got everything you need to know about the difference between SEO and SEM, and how to apply this knowledge to your everyday business practice. Modern Internet is full of vague abbreviations and fancy terms, such as SEO, SEM, SERP, SERM, PPC, and even CPC. People use them here and there, often not fully realizing the actual meaning of the given term while I think it’s quite important to be knowledgeable about these things. Why is it so important to know what the difference between SEO and SEM is? Because these two little abbreviations is what drives today’s Internet marketing and business (yes, and your business too). The more you know, the more you understand. The more you understand, the better decisions you can make. Better decisions lead to better choices and eventually more money! So relax, assume a comfortable position, and prepare to learn something new and useful. In a mere 10 minutes you’ll be able to tell the difference between SEO and SEM like a pro. 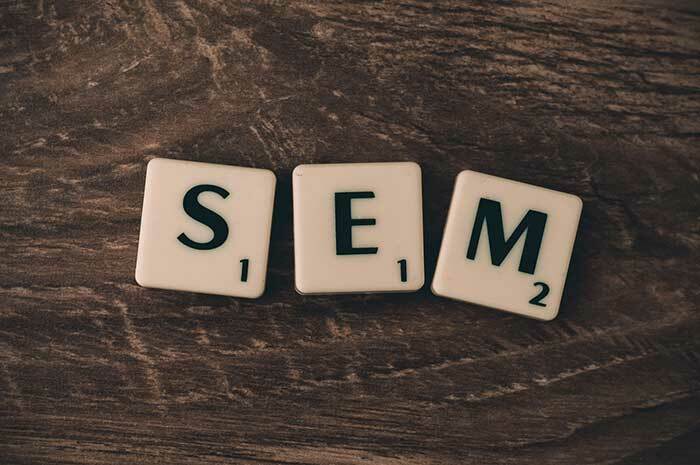 Before we delve into the specifics, let’s revise what we already know about SEO and SEM, starting from the definitions. In short, SEO is everything you do in order to rank higher in search results. Why? Higher rank most definitely means more visitors, as top three listings on an average search engine results page (usually abbreviated as SERP) get 65% of all traffic. If your website is in top three, chances are roughly 2 out 3 people will visit it. I underlined the last four words for you because that’s where the main difference is. In broader terms, SEM is everything you do to get more traffic from SERP, including (but not limited to) SEO itself. SEO is something you do to drive organic, natural traffic. 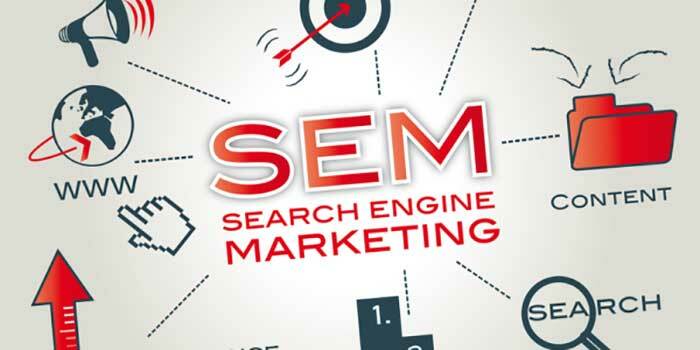 SEM is about getting more paid traffic from SERP to your website. Let’s stick to that for now. Now that we’ve got ourselves some basic understanding of the difference between SEO and SEM, let’s go a little bit deeper and see what they consist of and how they’re done. SEO is not something that’s set in stone. It’s not even a science. For most people, SEO is a set of methods and activities aimed at trying to please the ever-evolving Google’s search algorithm Panda. It’s like searching a room with your eyes closed for an item you know it’s there, but not sure where exactly. Of course, you can apply some methodology and pretend you’re following it, but in reality it’s more of a trial and error. The more you do, the more you learn. Not only from your own experience, but from the others’ too. Another interesting thing about SEO is that it’s constantly changing and evolving. What we know and do today might not be relevant any more tomorrow. People were bluntly stuffing their websites with so-called interstitials (full-size ads prompting mobile site visitors to download the company’s app) until that very moment in late 2015 when Google officially outlawed these interstitials in favor of standard, conveniently-sized banners. Guess how many websites fell victims to that sudden change? The answer is a lot. While dealing with SEO, you’ve got to realize that this game is totally rigged by major search engines, and you have to operate within the given limits. Google, Yahoo, and Microsoft all have their own considerations as per how their search engine algorithms should work, and trust me – your financial well-being is not a part of their concern. So, what you can do is basically become a SEO freak following all the latest news and tendencies on SEO. It’s an important thing to understand how search engine optimization works today, but it’s even more important to figure out how it’ll work tomorrow. That kind of knowledge may give you a competitive advantage and a head-start, if you adjust your SEO policy accordingly, knowing about the upcoming changes in the search engine algorithm. To put it shortly, SEO is an incredibly time- and effort-consuming process, but if done right, it can produce miracles for your website. And what’s more important, these are FREE miracles – the only resource you have to spend here is your time. Even if you do spend some money on SEO consulting, it’s still much cheaper than paid advertising and the results are undoubtedly stronger and more worthwhile. 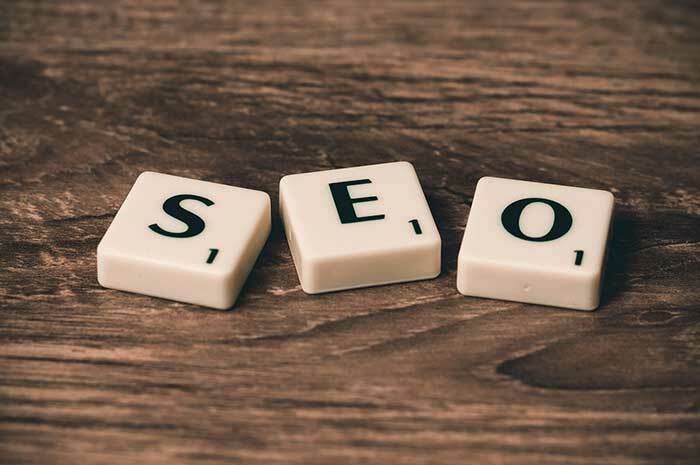 Typically, most analysts would divide the search engine optimization process into two distinct processes – On-Page SEO and Off-Page SEO (also known as On-Site and Off-Site). In other words, On-Page SEO suggests you adjusting and improving your website pages and code in a way that will positively affect their ranking. 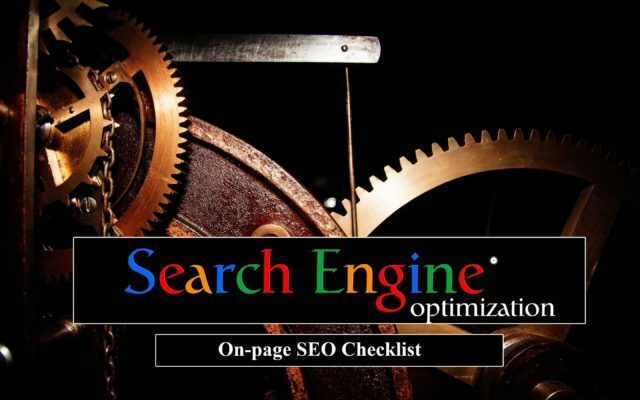 NOTE: here’s a comprehensive and well-rounded “On-Page SEO Checklist: How to Build a Perfectly Optimized Web Page” written by me earlier. Do give it a read; it may come in handy in your everyday SEO life. These were the main On-Page SEO activities. Of course, such things as setting up a sitemap and creating robots.txt also deserve an honorable mention on this list. On-Page SEO is not a rocket science. Most of these activities listed above can be done by an average webmaster, with little help from outside specialists. When done right, the results of an On-Page SEO can prove outstanding. It’s not uncommon for a website to take leading positions on SERP just by natural, organic SEO. There’s no magic, just constant work and patience. 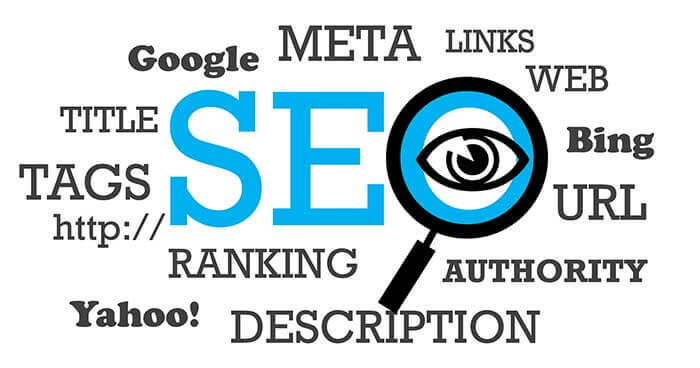 According to a definition from Searchmetrics, Off-Page SEO refers to the measures taken outside of the actual website in order to improve its position in search rankings. Typically, these measures suggest creating as many high-quality backlinks (incoming links) as possible, but that’s not all. Off-page SEO is much harder to accomplish than an On-Page SEO as it implies that your page/website is already well-established, has great content, and offers rich experience to its users. Nevertheless, it’s worth trying and the more you do it, the more it matters for your ranking as Google considers the amount of inbound links (along with their quality) as one of the key page-ranking factors. Most of the times it happens naturally – if you have great original content, be sure that people will link to you. As we stated before, SEM incorporates SEO as one its parts. If SEO struggles only for natural, organic traffic, SEM doesn’t really care where the traffic comes from, whether it’s paid or not. It’s business as usual, and that’s the main difference between SEO and SEM. SEM can be a part of your overall Internet marketing strategy along with some other ways of increasing web traffic such as social media (Facebook, Twitter, Instagram, and other social networks), YouTube, mobile apps etc. Some of you may think that buying ads is a bad thing, but make no mistake: today’s Internet is highly targeted and you’ll be getting not just some random traffic, but the very one you need and want. SEM spending among businessmen grows from year to year and is expected to reach an astonishing $80 billion in US by 2020. Let’s study each one of those in details. People type in some words/phrases into their Google search bar. Based on those words/phrases (aka keywords) Google’s search algorithm decides which pages to show and in what order. Of course, there are other page-ranking factors that matters, but keywords come first. Having relevant, concise, and straight keywords is essential for any website success. This is something you should do mostly in the beginning of the SEM process. Keyword research and its specialized tools allow you to define the best, optimal set of keywords for a web page, based on your content. Keyword analysis suggests regular checkup on how well certain keywords perform and if they require tweaking. Both processes are very important and often cannot be done right by the site owners themselves, and this is where you would definitely benefit from a professional advice. Consider it as having many friends. People who have many friends are generally more socially active and likeable. Same thing with the websites – no one wants to visit a website that’s lonely and doesn’t have many friends. The more inbound links your website has, the more authoritative it is (in the eyes of Google). There are many tools out there to help you analyze your website popularity and see how many incoming links and references you have. Of course, you don’t have to sit around and wait until someone notices you. You should think proactively and act so – conclude partnerships, share links with other websites and so on. However, the best technique here is simply to create great and original content that is worth sharing and linking to. This is the part where regular SEO happens mostly, and we have already covered that a few paragraphs above. Now this is the most interesting part. As I’ve mentioned before in my previous article “What is PPC? How to Set Up Successful Pay Per Click Campaign,” Google makes up to 90% of its profit from advertising. Where does this money come from? PPC ads is the answer. You would be surprised to hear, but Google is in fact nothing more than a huge advertising company. What a bummer, huh? Back to PPC ads – the concept is as follows: along with some natural, organic search results on the SERP a user can see some “sponsored” search results, usually top three (sometimes less). They are marked as ads and quite visible on the SERP. When buying a “sponsored listing,” you pay only for the actual clicks, not impressions (hence the name). 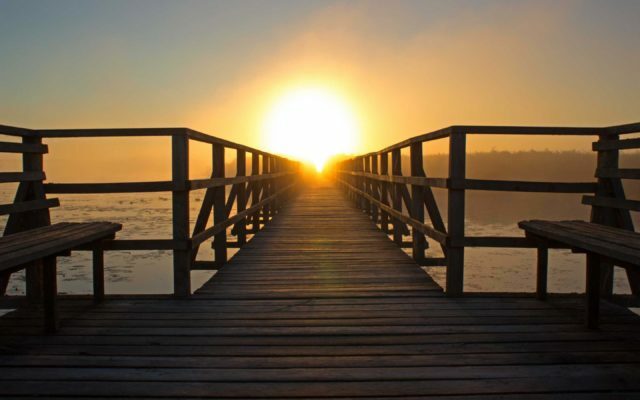 Whether to use PPC ads or not, is completely up to you. As with many other things, it’s just a tool and it’s a matter of how you treat it. In today’s article we’ve talked about the difference between SEO and SEM, discovered some of the interesting things about each one of those, and covered the main aspects. I hope this information will help you set up your own Internet marketing campaign better. Good luck! The right thing to do would be share this article with your friends on the social networks – just click on one of the icons below, it’s that easy.